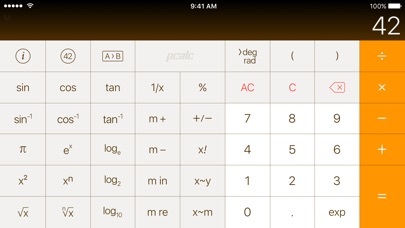 PCalc is the powerful choice for scientists, engineers, students, programmers, or indeed anybody looking for a feature rich calculator. 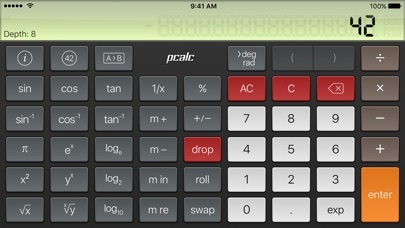 It includes an optional RPN mode and multi-line display, a choice of button layouts, an extensive set of unit conversions and constants, a paper tape, multiple undo and redo, engineering and scientific notation, as well as support for hexadecimal, octal, and binary calculations.PCalc Lite is a fully functional and free taste of our very popular scientific calculator. It includes an optional RPN mode, multiple undo and redo, unit conversions and constants, as well as two stylish themes and our highly praised design. A great choice for your new iPad! 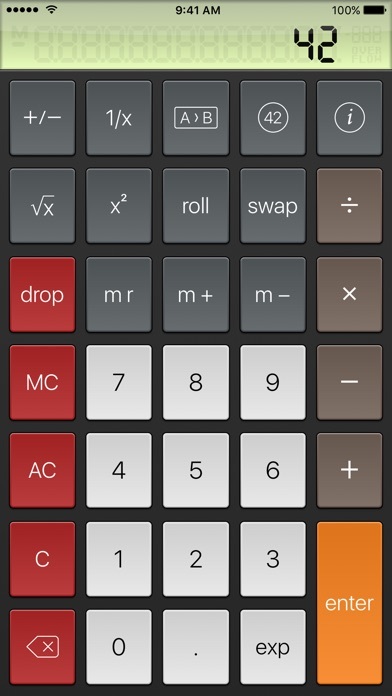 If you like what you see, the full version has many more settings and themes, a paper tape, engineering and scientific notation, and full support for hexadecimal, octal, and binary calculations. 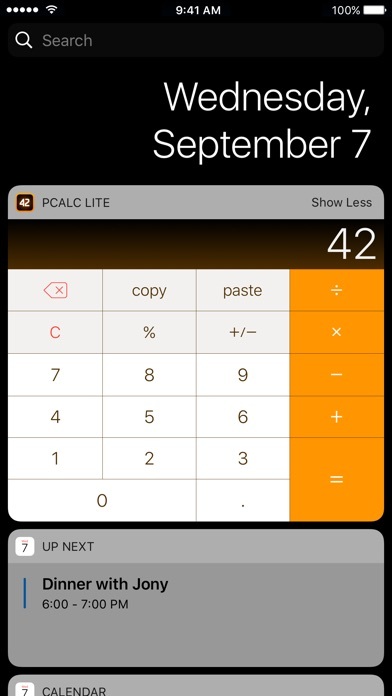 You can also now purchase extra features directly from inside PCalc Lite. Buy them individually, or buy everything. Includes an Apple Watch app, so you can calculate on your wrist! 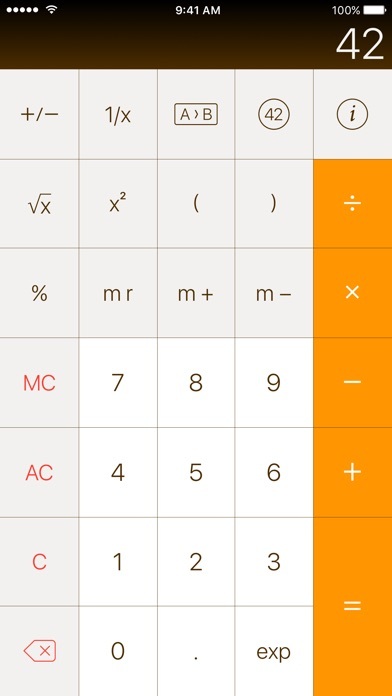 iOS and Apple Watch most convenient calculator! Thank you for the continuous support and regular updates with new features both for iOS and WatchOS! It’s certainly one of the best-designed apps for Apple Watch! I purchased some extra options, works well, very good. Thx. You spoiled the first look. Old good icon has been very nice instead of current one. Fire your designer.